Imagine the human face as a theatre stage, across which stagger thoughts, feelings, moods and memories. Or maybe think of it as a kind of ledger, a scrupulously kept record of suffering, joy, failure, health and illness. The face is also, so we believe, a register of moral states - we base some of our most abiding judgment s on the briefest of glances at the faces of others. And it is of coursealways a mirror. Is there any mode of representation more simultaneously revealing and misleading than the photographic portrait? Does that split-second visual sampling capture something true about the subject, some fleeting aspect of the self hidden from normal view, or merely some random configuration of facial tics and twitches? Let’s complicate it further: imagine that you’re a practised and expert liar who has broken the law and been caught out and now you're trying to save your skin. Or maybe you’re ready to make a clean breast of it and beg for mercy. Or maybe you're just playing the part of the penitent, but scheming all the while. Perhaps there's a mixture of fakery and genuine emotion there, playing themselves out. 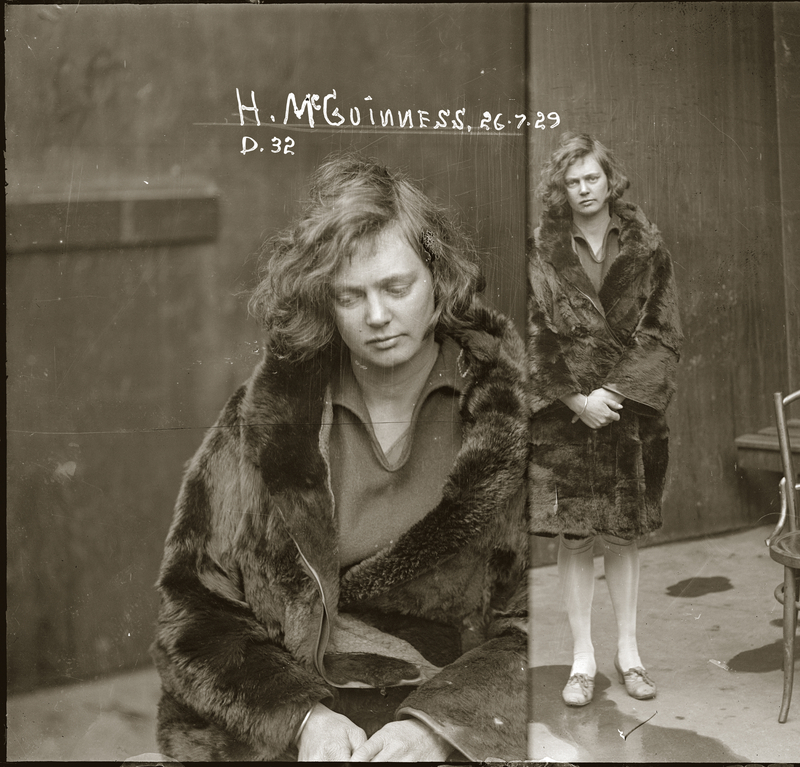 Such are the potent circumstances surrounding the so-called ‘special photographs’ taken by Sydney police in the 1920s, discovered over recent years among the tens of thousands of negatives of the forensic photography archive at the Justice & Police Museum. No documentation accompanies the images but we know that each portrait was taken in the aftermath of a crime and generally prior to the court appearance. Each portrait freezes a charged and fractious moment in an unfolding story. These mysterious images are extraordinarily rich and engaging just as they are. But when we piece together the facts of each case, painstakingly gleaned from police and court records, newspaper reports and other sources, then a remarkable composite emerges: image and story catalyse one another in surprising ways. We find ourselves staring into the heart of human drama. Crooks like us presents more than 200 stunningly reproduced images in delicate balance with their stories, creating a captivating relay between image and narrative, narrative and image. Look at the picture, read the story, then look at the picture again and see it anew. De Gracy (sic) and Edward Dalton. 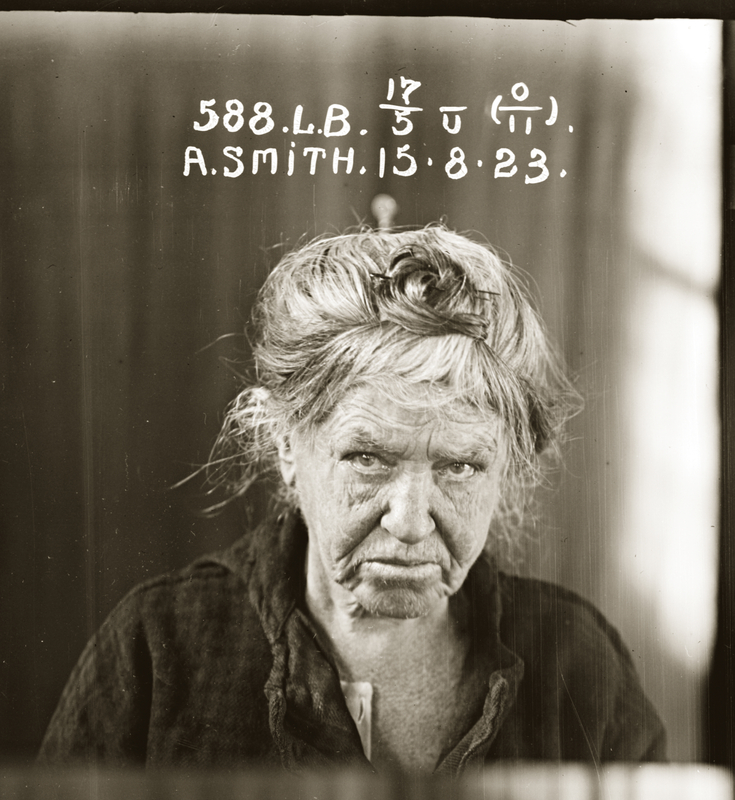 Agnes Smith, criminal record number 588LB, 15 August 1923. State Reformatory for Women, Long Bay. 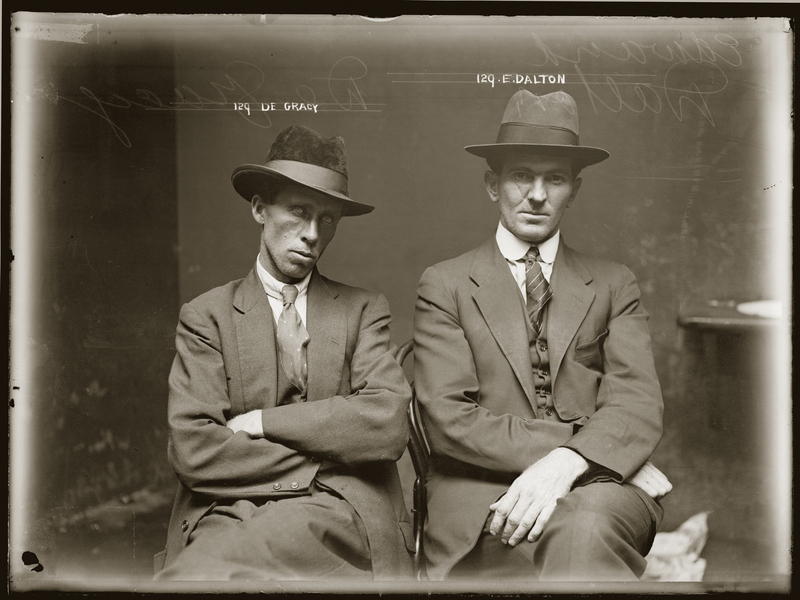 Mug shot of De Gracy (sic) and Edward Dalton. Details unknown. Central Police Station, Sydney, ca.1920. 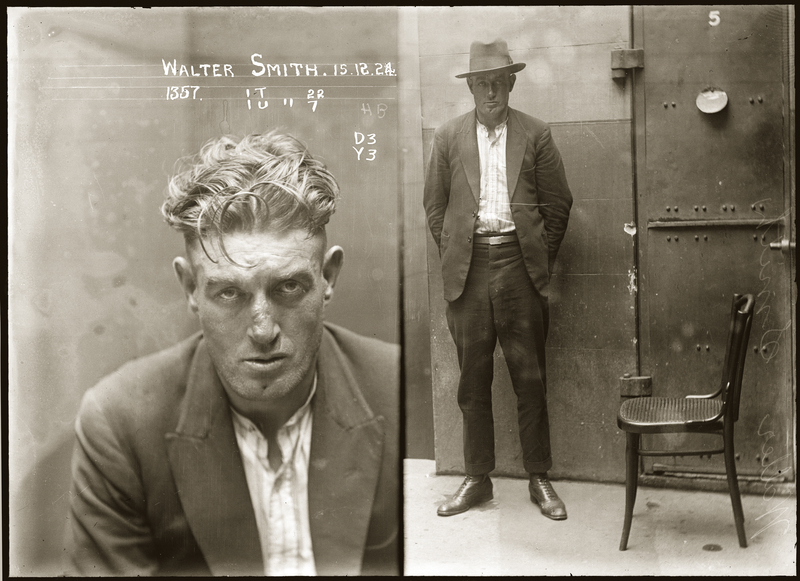 Mug shot of Walter Smith, 15 December 1924, location unknown. The female criminal has always intrigued human society. The femme fatale usually possesses an irresistible sexual allure and leads an enthralling life unpunished by the law. Scrutinised closely, the reality for most women turns out to be a hard, dysfunctional and violent life – brutalised and degraded further by stints in prison. Immerse yourself in Sydney's chilling criminal past in this unique water-front museum of policing, law and disorder - with its grizzly collection of underworld weapons along with tales of mayhem and lawlessness, aptly described as an educational resource befitting a 'professor in crime'. The Justice & Police Museum houses the Water Police Station, Water Police Court and Police Court that once made up one of the city’s busiest legal hubs. Crooks and cops, thugs and judges, locals and drifters – the guilty and the innocent have all left their stories here. A routine stocktake leads to a new display that shines a light on the battle between NSW Police and the safebreaking fraternity.